July 25, 2016 – The 28th Annual Tour of the Valley bike ride will be held in Grand Junction, Colorado on August 13, 2016. 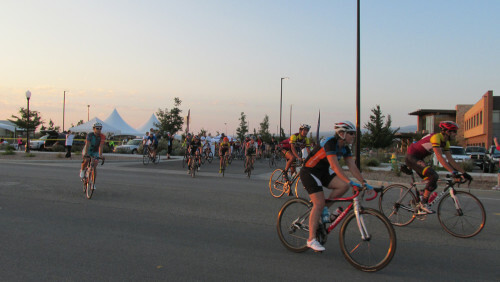 The recreational bike ride travels through the Grand Valley and is a fundraiser for Community Hospital Foundation of Grand Junction. 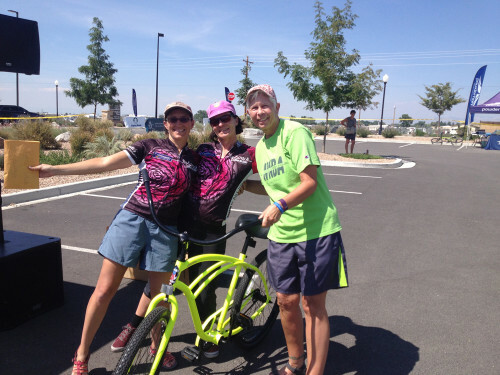 We caught up with event organizer Karen Martsolf and asked her to tell us about the ride. 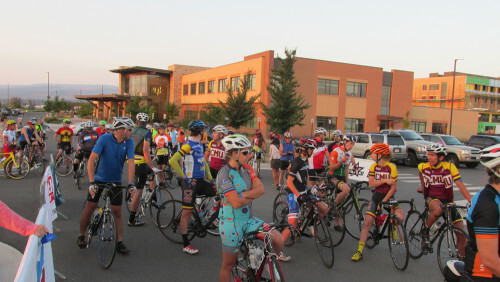 Cycling Utah: Tell us about the courses. This impressive and classic ride offers views of the entire Grand Valley and all it has to offer including the picturesque open fields of Fruita, the legendary Colorado National Monument, Mt. Garfield, the Grand Mesa, Palisade’s celebrated peach orchards and wine country, with the Colorado River running through the heart of it all. The Tour is not a race; we encourage you to set your own pace and enjoy beautiful western Colorado. The Tour will include 30, 55, 75 route options and the full century. Both the 55- and 100-mile route will include the famous ride over the Colorado National Monument, a unit of the national park system. All rides are supported by the best aid/rest stations featuring snacks, fresh fruit and Honey Stinger energy products. What are the highlights? What are the ride distance options? 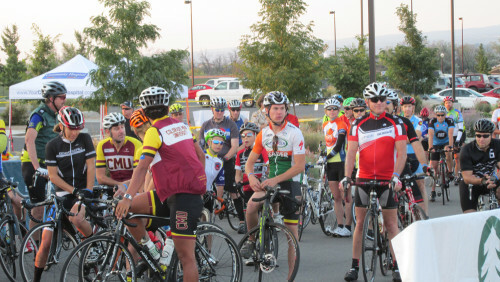 CU: The ride is a fundraiser for the Community Hospital of Grand Junction. Tell us more about the fundraising aspect of the ride. Who benefits from the fundraising? All proceeds stay right at home and have previously supported Colorado Mesa University Cycling, the Colorado Plateau Mountain Bike Trail Association (COPMOBA) and health education and wellness activities offered free to the public by Community Hospital. 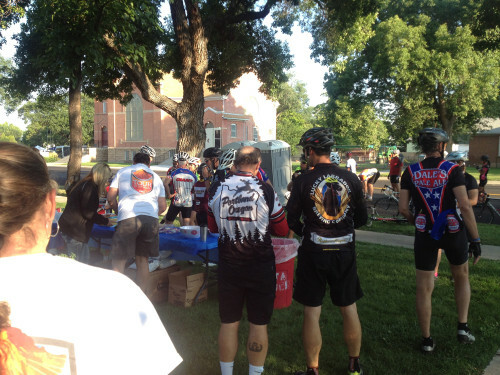 CU: The rest stops are a highlight of the ride. What are some of the unique things that you do? What support will you have? Rest stops are located at approximately every 15-20 miles. Each stop will offer water, sports drinks, fruit (including fresh Palisade peaches at the Palisade rest stop) and other food. Porta potties will also be provided at the rest stops. CU: Where can people stay in Grand Junction? Is there a sponsor motel? What about camping? Candlewood Suites (654 Market Street, Grand Junction, CO 81506) which is located just one mile from the new starting location, is offering Tour of the Valley riders a special discount for lodging. Candlewood Suites is offering a $99.00 rate for a one night stay and a $79.00 rate if guests stay for two nights. Click here to book your special TOV rate online, or call (970) 255-8093 and ask for the Tour of the Valley discount. CU: The post event party sounds like a ton of fun. Tell us more. 11 a.m. – 4 p.m. – Sign-up for a free mini-sports massage after your ride. Massages are offered on a first-come, first-serve basis. 11:30 a.m. – 4 p.m. – Post ride BBQ served at Community Hospital parking lot. Tents, tables and chairs will be set up, guests are encouraged to bring blankets and chairs to enjoy the post-ride party; music, beverages and snacks. Live music by Williams Brothers, beverages provided by Kannah Creek, Copper Club & Red Fox Cellars. Drawings for prizes will be held between 1 – 3 p.m.
New this Year!! Our start/finish location has moved to Community Hospital, 2351 G Road. It is adjacent to last years starting point. For full details and to download route maps, please visit YourCommunityHospital.com.